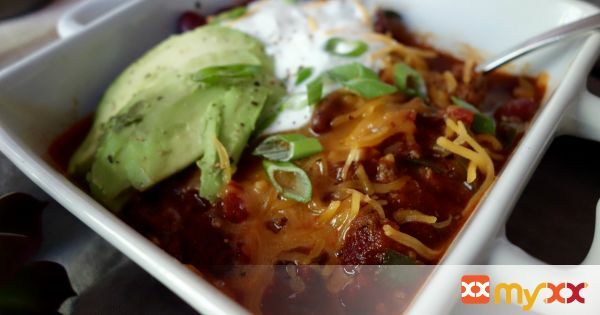 Try a new twist on a classic chili dish. The smokey savory flavors with a hint of sweet and spicy are a perfectly balanced. It's even better the next day! 1. In a large heavy pot, heat olive oil over medium heat. Add onions and garlic and cook for a few minutes till translucent. 2. Add ground beef and cook for a few minutes. Then add poblano peppers, cumin, chili powder, smoked paprika, and salt and continue to cook until beef is cooked through. 3. Deglaze with guinness beer and simmer for about 5 minutes. Add beans, crushed tomatoes, brown sugar, cinnamon and continue to simmer for 30-45 minutes.